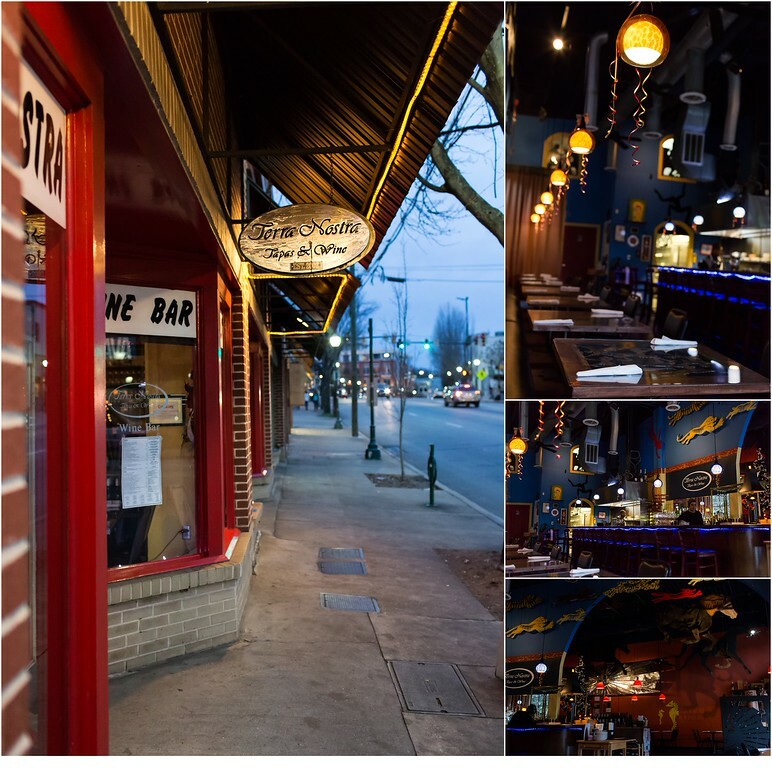 A review of Terra Nostra Tapas and Wine Bar in Chattanooga, Tennessee. 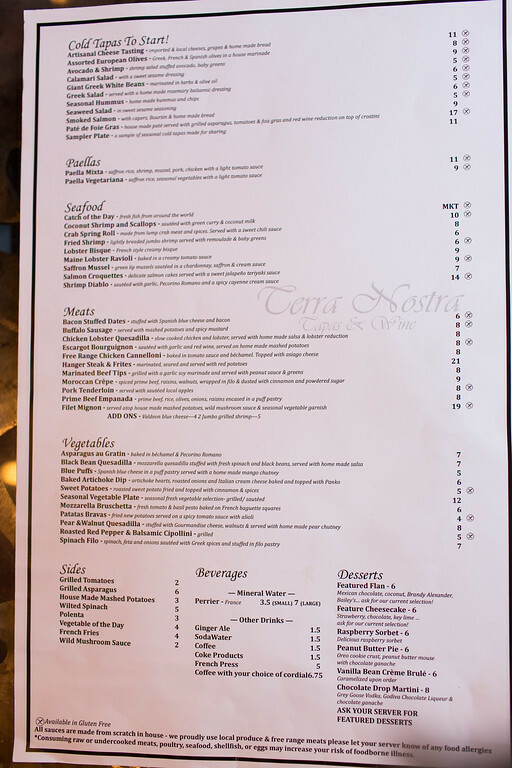 We first ate at Terra Nostra Tapas and Wine Bar right after they first opened and then life got in the way and we somehow never made it back. Until last week, when we were hungry and driving down Frazier Avenue looking for somewhere to eat. All I can say is, I don’t know why we waited so long between visits! The first thing you notice is the charming red painted storefront. Then as you walk in, it is decorated in deep tones. There is a long bar and a row tables that runs parallel to the bar, with additional seating in another room. The menu is divided into sections starting with cold tapas, paellas, seafood, meats, vegetables and then sides, beverages, and desserts. We asked for recommendations from our server and for the most part stayed with those. 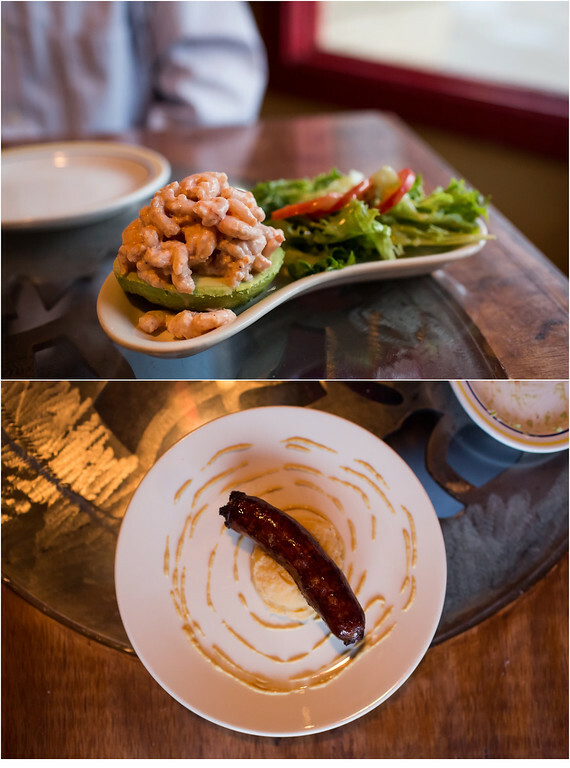 We chose The Avocado and Shrimp, the Buffalo Sausage, Free Range Chicken Cannelloni, Pear and Walnut Quesadilla, and the Mexican Chocolate Flan. The Shrimp and Avocado was from the cold section. The shrimp was creamy and paired nicely with the avocado. The richness was cut with the lightly dressed tomatoes and lettuce on the side. The buffalo sausage was wonderful. It was perfectly cooked, crispy on the outside and juicy on the inside. The Free Range Chicken Cannelloni was also excellent, creamy and cheesy. The Pear and Walnut Quesadilla was the perfect blend of earthy and sweet. 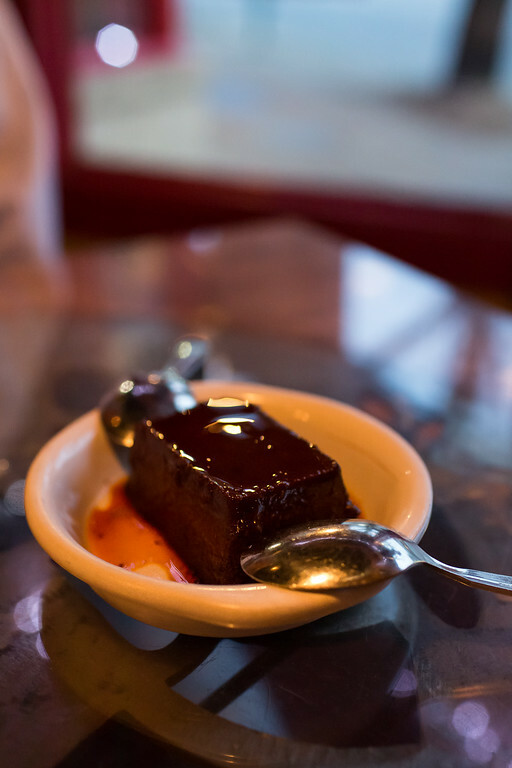 The Mexican Chocolate Flan was amazing. Rich and dense with chocolate with just the right amount of heat. Loved it! 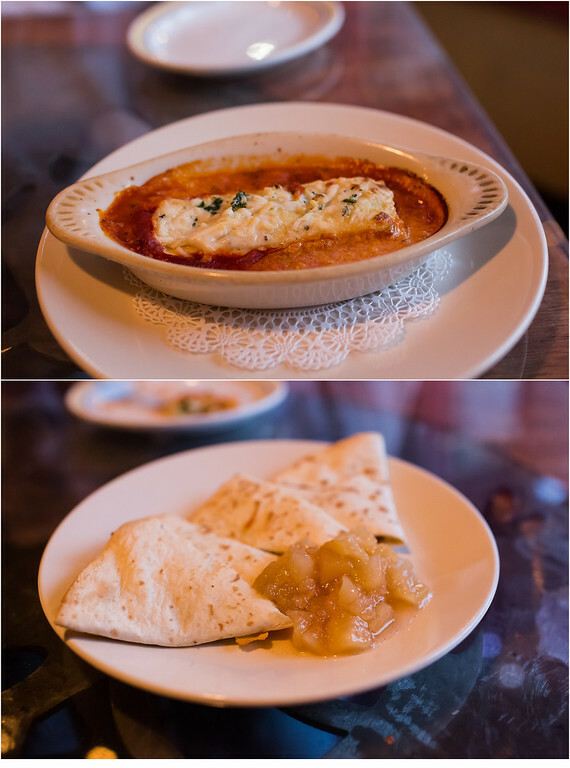 We enjoyed all of our dishes and left feeling quite satisfied. We will definitely go back and try another handful of dishes!